With the most beautiful picture you design your calendar. A GOOD remind for the entire year! 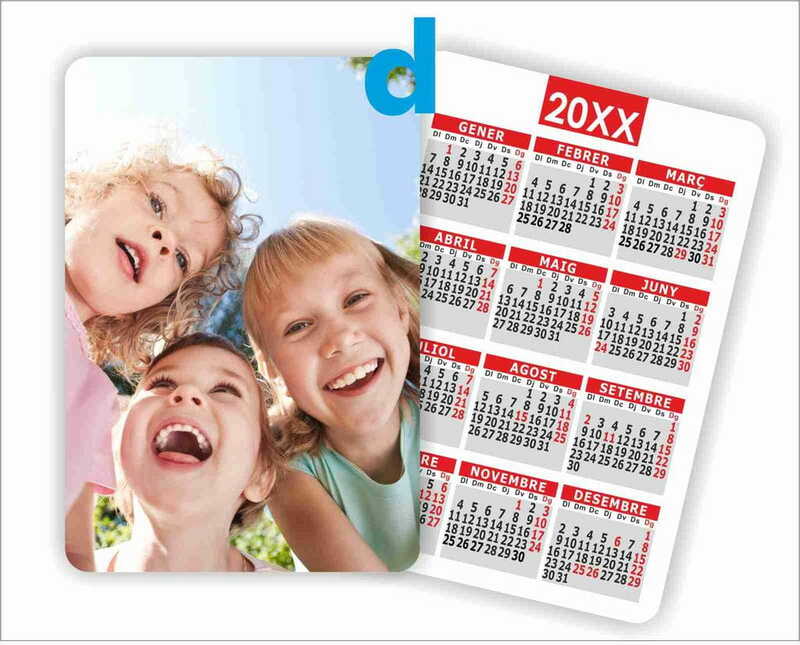 9x6cm calendar printed on both sides in color. Card stucco 350gr. Possibility of laminated calendar, highly recommended to give more rigidity and durability.